Kimberly Mitchell, a former member of and current volunteer for the Boston Crusaders, submitted this photo. 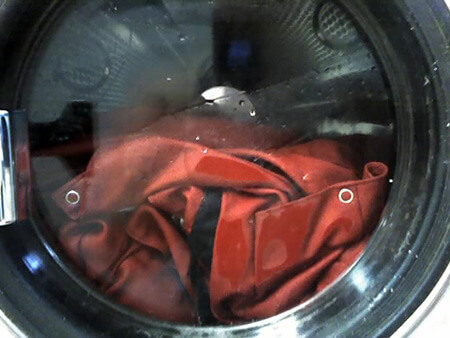 This is a photo of the Boston Crusaders' uniforms getting their post-season wash. I must say it was a little strange being in a Laundromat after the summer tour ended especially with all of the uniforms.